I saw this rock the other day. I couldn’t tell if the design was painted by a person or if was an array of lichens banding together in an attempt to communicate with aliens. 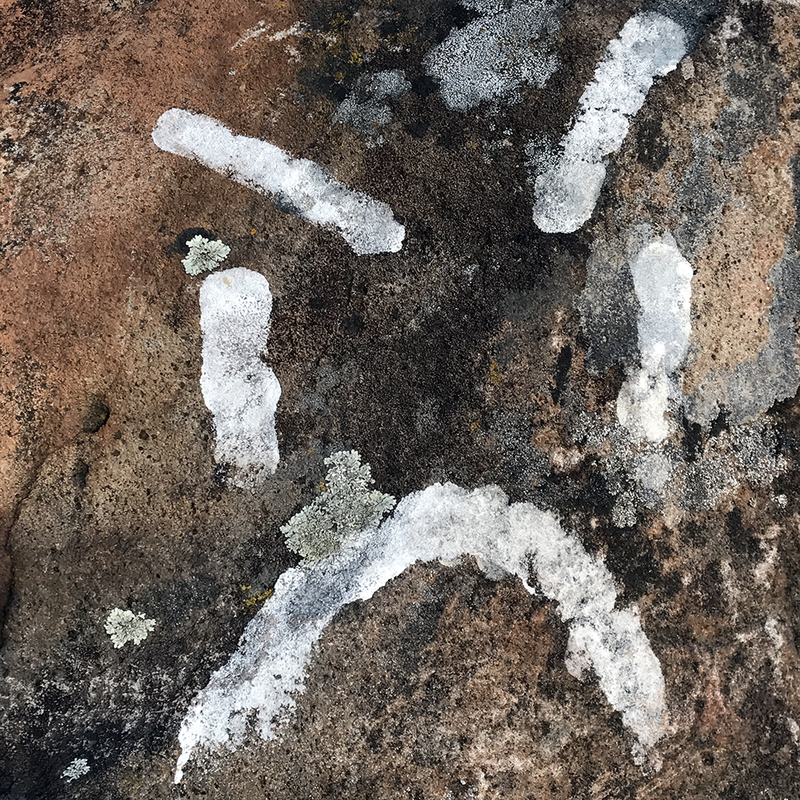 I did not see other human graffiti in the vicinity, so the lichen story may be the more viable explanation of the pattern displayed on the boulder. Maybe the warming of the rock drove this desperate, angry lichen tribe to use their bodies to signal their intent to relocate on another rock. This entry was posted in Personal Stories and tagged lichens, pattern, photography, rock, story, street photography, visual arts. Bookmark the permalink.